On station off the American coast. Significant events have happened here in the interior on our small inland seas and I’m certain that they will have major influence on the war. I do not have all the details but I believe I have enough information to extrapolate to an unfortunate conclusion. In response to Commander Barclay’s entreaties for more men and supplies for his Lake Erie Squadron, Commodore Sir James Yeo managed to find a small party of seamen and a half dozen 24 pounder carronades to send to the west. I was detailed to take these much needed items to the dockyard at Amherstburg. As the forces of the United States are in control of the Niagara River at this time with garrisons at forts Niagara, George and Erie, the Niagara River is unusable to us and so the standard practice is to use an overland route from Burlington Heights to the anchorage on Lake Erie at Long Point, then ship supplies from there to Amhersburg, Fort Malden, Detroit and the Upper Lakes. When I arrived at the anchorage on the 11th I learned that there had been no vessels there for several weeks and that when the US Navy completed their two brig-sloops Lawrence and Niagara, Commander Barclay retired to Amherstburg to await completion of sloop of war HMS Detroit that would restore a balance of forces on the lake. Without her, it was felt that the US Navy was too strong to confront and that any vessel’s venture out of port would simply add that ship to the American’s line of battle. You may recall that the Americans raided York in April? 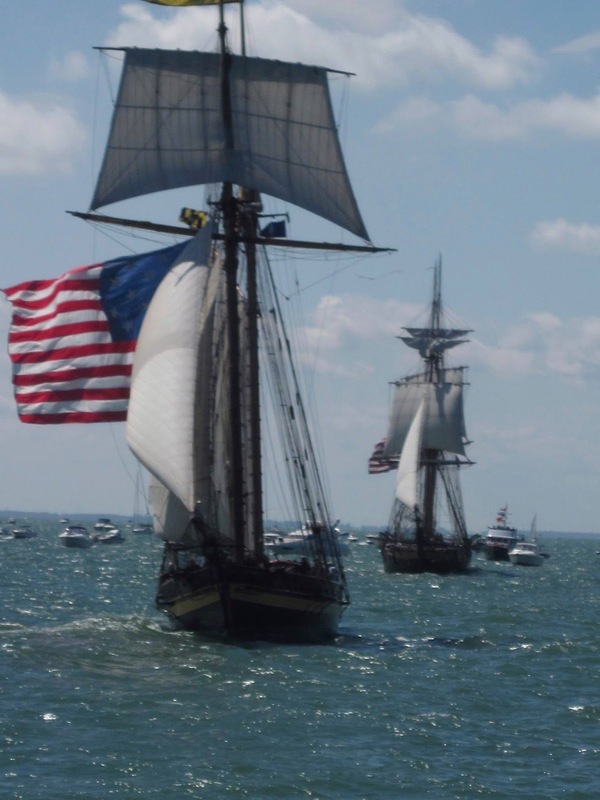 One of their spoils of that victory included the guns for the Detroit, captured and taken back to Sackets Harbour along with the schooner Duke of Gloucester. So, even with the sloop Detroit completed, she had no ordnance with which to fight. My shipment of carronades was vital. Yet with no British vessel to move them, I had to find some alternative route or method to complete the mission. Within the hour of my arrival however, a small party of Red Indians in canoes came in along the shore with fresh news from Malden and, while not complete, I think it says much. With no food, cannon and other supplies received for several weeks, and the warriors and their families not receiving their regular issue of gifts, the Indians, garrison and squadron were all on short rations. General Procter and Commander Barclay determined that the US Lake Erie fleet must be defeated so that the supply line could be restored. The sail lockers of the other sloop, HMS Queen Charlotte were raided to provide sails for Detroit and Fort Malden was stripped of its usable artillery to make up the ship’s missing ordnance. And the shortage of seamen was augmented with soldiers from the garrison. On the 9th, Barclay took his squadron out to fight. On the 10th, gunfire could be heard to the south. It went on for hours, and then went silent. For the rest of the day, Procter sent riders along the shoreline looking for the returning vessels but none came. Since the garrison and residents of the area were desperate for supplies, after a victory or even a draw, one of the British vessels should have returned to begin the process of resupply. The only conclusion is that Barclay was defeated. I could list off the reasons for a defeat. I could say that the two brig-sloops were bigger than the sloops of Barclay’s squadron. I could say that whatever guns equipped Detroit were some varied collection of field or garrison ordnance of a mixture of calibers that may have given powder monkeys fits when bringing charges up from the magazines. Or, I could say of the men crewing the ships, “Finer soldiers there can never be, but they are only landsmen.” Having seen the documents go through the offices at Kingston, I know Barclay had only about 60 Royal Navy personnel in his squadron’s crews, and 110 Provincial Marine people. The Indian I spoke with estimated about 230 redcoats shipped out with the squadron. And, because of the fine job you and your consorts are doing on the Atlantic coast, blockading the American cruisers in their harbours, the US Navy is known to be sending their idle sailors inland to man the warships on the lakes. My opinion is that Procter will have to retreat. He has stripped his fort of men and guns to supply the squadron and he still has little or no food. The Indians will likely abandon him as he cannot provide food and blankets for them as did these natives from whom I learned of the probable defeat. There is a road, a poor one, which runs from Malden to Burlington Heights. The season is not too late for him if he moves quickly. I hope that Barclay mauled the US squadron sufficiently to slow its use as transports. And now to the second bit of news.. I ordered the seamen to conceal the carronades and then head back to Burlington while I would go on ahead and deliver the shocking news of Barclay’s likely defeat and collapse of the Detroit frontier. I commandeered a horse and began the frantic return to the headquarters of the Army’s Division at Burlington Heights. I arrived there, rather saddle-sore late today. 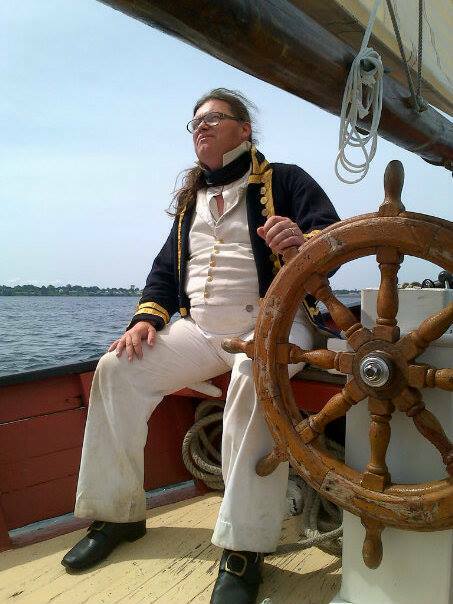 I was told that, after delivering me and our carronades at the head of Lake Ontario at Burlington just a few days ago, the Commodore sailed off to the south in search of his American counterpart. On the 11th, again, gunfire was heard from the south and again, no ship has returned, although it’s more likely that Sir James would make for Kingston after a battle. At any rate, I have no further evidence to suggest any outcome of this encounter. I will continue on my way back to Kingston, where I will post this. Should I have any further information at that time, I will include it. I caught a small transport schooner and made a rather quick passage to Kingston so scrawled this on the leaf. You may imagine my relief at finding the Lake Ontario Squadron safe in harbor, however, cut up somewhat. The new American sloop of war General Pike is armed with twenty-six 24 pounder long guns, two on circles, allowing her to fire 14 guns of a broadside, and Commodore Chauncey caught Sir James and the Squadron off Niagara in a calm where the long guns were employed exclusively. A breeze came up and Commodore Yeo was able to escape, however. The US have again tipped the balance in their favour, have the most powerful vessel on the Lakes and, unless the Commodore can close to within effective carronade range before commencing the fight, the US is likely to win another battle. Some may criticize the Commodore for the lack of support he sent Barclay on Erie, but things are very serious here, very serious indeed. I will tell you more at a later time.